Xshop themes has been purchased 69, rating: 4/5 based on 4 reviews. 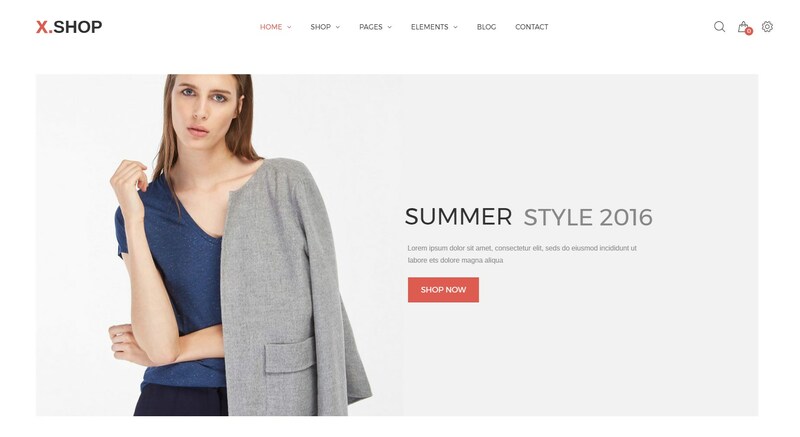 X-Shop is a modern Shopify theme that suits any type of e-commerce store such as fashion, electronics, furniture, watches, accessories, cosmetics, apparel, etc. This is an easy to use and customizable theme. In addition, it comes with tons of powerful modules such as Mega Menu, Advanced list and Grid product view, Bootstrap 3, awesome fonts, etc. Not only is the design beautiful and eye-catching, X-Shop also has a flexible control panel that helps shop owners build e-commerce stores successfully in just minutes.